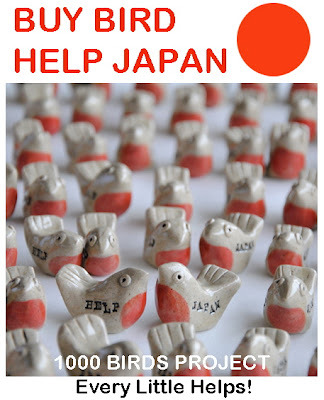 Ending tomorrow for mail order:- please look at this lovely blog and Maki's little birds in aid of Japan. I have ordered a few for my daugther's printing trays they have on their walls. Perfect little pieces of art. Unfortunately I cant get to the Knaresborough Easter Fayre this weekend where Maki will be. I hope she doesnt mind that I have copied this image from her blog but I just wanted to promote it. Please pass this on to anyone & everyone! I had a lovely day on Saturday with my friend Fiona Wilson - I challenged her to teach me more about quilting! We spent time planning our "log cabin" design and ended up with a small sample by mid afternoon. It was very therapeutic and we were very pleased with the results. We talked about how the Americans obviously are the queens of quilting and about how lovely it would be to grow up quilting in groups with family and friends. The sharing of stitching - taking time, creativity and friendship (and quilts sewn with love). How lucky you would be in that environment. 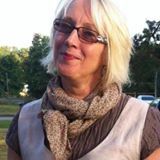 So now its time to start planning my miniature quilt entry for the Festival of Quilts this year and again say a big thank you to my dear friend Fiona.